DUNSMUIR, ROBERT, coal-miner, entrepreneur, and politician; b. 31 Aug. 1825 near Kilmarnock (Strathclyde), Scotland, the son of James Dunsmuir; m. in 1847 Joanna (Joan) Olive White, and they had ten children; d. 12 April 1889 at Victoria, B.C. Robert Dunsmuir was the son and grandson of Ayrshire coal-masters. He received his early education at the Kilmarnock Academy and at about age 16 entered the mines as an apprentice to his uncle and guardian, Boyd Gilmour. By 1850 Gilmour was overman at the Hudson’s Bay Company coal-mine near Fort Rupert (near present-day Port Hardy) on northern Vancouver Island. On Gilmour’s urging, Dunsmuir indentured himself to the company, arriving at Fort Rupert with his wife and three children in September 1851. Dunsmuir entered a difficult situation, for despite dedicated efforts by men such as Gilmour and John Muir the mines were failing. The coal was limited in extent and quality, poor management by the HBC officers in charge had caused much unrest among the miners, machinery and skilled labour were in short supply, and hostile natives were a continual threat. During 1851–53 the HBC transferred its mining apparatus to the newly discovered coalfields at Nanaimo. The Dunsmuirs joined in the move to Nanaimo, though several miners, including Gilmour, soon returned to Scotland. In 1855 Dunsmuir refused to join a strike of dissident miners, earning for his apparent loyalty to the HBC a free-miner’s licence to work an abandoned HBC shaft. In 1862, when the HBC sold its coal mining operation to the Vancouver Coal Mining and Land Company, he contracted to work as a mines’ supervisor for the new firm. 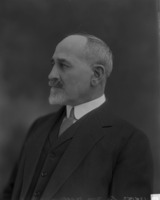 Two years later, his record of independence, initiative, skill, and productivity brought him to the attention of Horace Douglas Lascelles* and three other naval officers at Esquimalt who persuaded Dunsmuir to become resident manager of their newly formed Harewood Coal Mining Company. The company encountered difficulty in starting production, chiefly because of lack of capital, and was absorbed by the VCMLC; Dunsmuir, recognized as the most knowledgeable miner on the island, was hired once again by this company as mines’ supervisor. After joining the VCMLC Dunsmuir conducted clandestine explorations for coal on surrounding lands. He continued his secret surveys until 1869 when he discovered the Wellington seam, five miles northwest of Nanaimo harbour, the thickest and most extensive of the coal measures found until then in the Nanaimo basin. After laying claim, he was able to arrange short-term financing from San Francisco but was soon forced to seek more capital. He obtained £32,000 to develop the colliery from another group of naval officers, which included Lieutenant Wadham Neston Diggle. In addition to the claim Dunsmuir’s contributions to the enterprise would be his expertise and his willingness to build and operate the colliery. He insisted upon and received half the shares plus full control over all operations. In 1873 the mine was incorporated under the name Dunsmuir, Diggle Limited, a ten-man partnership that included the naval officers, Dunsmuir, and his sons James* and Alexander. Dunsmuir’s first years as a colliery owner were devoted to establishing a basic mining operation – a high risk venture given the economic recession of the time. He had to take into account the VCMLC’s large plant, and to create the vital elements of several shafts for mining, a skilled work-force, and an efficient three-mile transport link from pit-head to wharves, which after 1870 meant a steam railway. Newspapers reported each step in the colliery’s advance, and editorials were soon stressing the significance of Dunsmuir’s efforts to the region’s economy. By the end of 1874 the British Columbia minister of mines, John Ash, reported that “The Departure Bay [Dunsmuir] Mines are now in full operation,” the returns from which “illustrate the value of the seams.” That year Dunsmuir’s coal output totalled 29,818 tons, of which only 2,384 tons were unsold. This production figure was more than half the VCMLC’s output, and in the following year Dunsmuir’s operation came within 10,000 tons of its chief competitor. By 1878 Dunsmuir had overtaken the other colliery’s production, raising 88,361 tons of coal compared to 82,135. Although the company had had sufficient financial backing from its partners to begin mining, it was mainly Dunsmuir who had taken the risks, and who had provided the management necessary to create, maintain, and expand the operation from a mere claim to British Columbia’s foremost colliery. Until 1878 it appears that Dunsmuir ploughed most of the profits back into the firm; no additional shares were issued and there is no evidence indicating other sources of financing were necessary. His business success is even more impressive when it is realized that he kept pace with technical developments. Dunsmuir described his works in 1879 as having “4 3/4 miles of railway; 4 locomotives; over 400 waggons; 4 [hauling] engines and 2 steam pumps; 3 wharves for loading vessels, with bunkers, etc.” In 1879 Dunsmuir, Diggle Limited purchased another colliery in the same seam, the South Wellington, to the south of Nanaimo. Together, the two operations provided underground access through one pit (160´ deep) and two main shafts (one reaching 310´). The purchase gave the firm a further “4 1/2 miles of railway; 1 locomotive; over 50 waggons; 1 steam pump; 2 large winding engines; 1 small engine”; the combined labour force was now 418. Dunsmuir was a shrewd and opportunistic coal proprietor. Compared with other coal entrepreneurs of the 1870s and 1880s, he was not particularly lucky or especially ruthless, but he made the most of the important advantages he had over his competitors. He had been a thoroughly knowledgeable coal-miner and a highly experienced mines’ supervisor before starting his own colliery, and by being the sole claimant of the island’s richest coal seam when he began his first venture as a coal-mine proprietor, Dunsmuir’s potential as a producer was the greatest on the island. Furthermore, although he was a latecomer to the province’s coal trade, his entry occurred at a time when speculative coal enterprises were most profitable. What distinguished him above all from other promoters, the majority of whom failed to secure sufficient start-up capital, was hip astute move in turning for support to the naval officers who had both an awareness of the value of the coalfields in the region and the financial means to make substantial investments. Also important was Dunsmuir’s proximity to the colliery: as his usual residence was Nanaimo, nothing to do with the operation escaped his attention and day-to-day management decisions were made with ease. 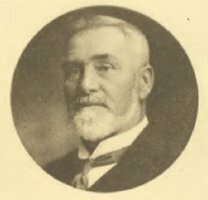 Finally, he was able to recruit and train as his chief subordinates his two sons, who were also in the original partnership, and a son-in-law, John Bryden; not only did he fix the colliery’s management in the family’s grip, he also ensured that as the company prospered the financial position of the family was correspondingly strengthened. Thus it was that most of Dunsmuir, Diggle’s power and wealth came to be concentrated in the Dunsmuir family’s hands. He was dedicated to the new coal industry and determined to dominate if not monopolize it. Within ten years of starting operations Dunsmuir had generated sufficient capital from sales to build a colliery operation that surpassed in size and output the combined value of all other British Columbia coal mines, to purchase extensive holdings of coal-bearing lands in the Comox district, and to construct and operate a fleet of colliers; he also invested heavily in real estate on Vancouver Island and in an iron foundry, a theatre in Victoria, agricultural lands, and a mainland diking scheme. Most of Dunsmuir’s wealth was in the form of equity capital, but it none the less gave him all the security he needed to continue making acquisitions whenever and wherever he chose. This was, after all, a time in Canadian history when neither corporate nor income taxes existed, and what coal royalties there were had little impact on profits. Indeed, it was a period in which governments appeared more eager to give money to men like Dunsmuir than to take it from them. A case in point is his involvement in the building of a railway on Vancouver Island. A rail link between Nanaimo and Victoria had been planned as early as 1873, but no serious effort to start construction was made until December 1883 when the province transferred to the federal government sufficient crown lands for the project. To safeguard control of the island’s economic future, and prevent the possibility of the Northern Pacific Railroad gaining the contract, many businessmen and politicians urged Dunsmuir to build the line. Dunsmuir was reluctant to accept the task, thinking it of little benefit to his colliery operations. He submitted a proposal to the Canadian government, however, and despite the severity of his terms he emerged as the sole acceptable alternative to foreign builders. After much shrewd bargaining in Ottawa Dunsmuir agreed to construct the railway in return for a subsidy of $750,000 in cash and a parcel of land comprising some two million acres – fully one-fifth of Vancouver Island. Significantly, the land grant came with “all coal, coal oil, ores, stones, clay, marble, slates, mines, minerals, and substances whatsoever in, on or under the lands so to be granted.” He received also all foreshore rights for the lands, all mining privileges (including the right to mine under adjacent seabeds), and the retention of all coal and other minerals taken from the land. Additionally, as contractor he was permitted to cut whatever timber and erect whatever structures he saw fit to build the line. To promote settlement, provision was made for the sale of farmlands to homesteaders at one dollar per acre. Squatters of at least one year’s residence were allowed to buy up to 160 acres, and those settlers with title were allowed to retain their holdings, but virtually all else would go to the contractor in right of performance. It was, in short, a major give-away of British Columbia’s natural resources. Although Dunsmuir had been chosen to prevent the Americans from gaining control of the railway, the lands, and the area’s mineral rights, he was not averse to exploiting American talent and experience in constructing the railway. The contract which Dunsmuir drew up for the Esquimalt and Nanaimo Railway named himself, his son James, and his son-in-law John Bryden as contractors, and Charles Crocker, Mark Hopkins, Leland Stanford, and Collis Potter Huntington, all officials of the Southern Pacific Railroad, as subcontractors. Construction began at Esquimalt on 26 Feb. 1884 and proceeded on schedule. Sir John A. Macdonald*, prime minister of Canada, drove the “last spike” at Shawnigan Lake on 13 Aug. 1886, and by September trains were running into Victoria along lines laid from Esquimalt across Indian lands Dunsmuir had managed to have expropriated for his use. Building the railway was Robert Dunsmuir’s last major entrepreneurial effort. James Dunsmuir and John Bryden were now the driving forces behind further expansion of the family’s business, and their time was filled with consolidating and operating the huge industrial, transportation, and commercial activities created chiefly by the elder Dunsmuir. Robert was content to leave such matters to his successors, busying himself more with his other investments, particularly those in Victoria where he then resided. He had already built a mansion in Nanaimo; he now busied himself with plans to build a sandstone castle (Craigdarrock), a task that both challenged his remaining energies and suited his image as British Columbia’s leading 19th-century industrialist. Part of Robert Dunsmuir’s notoriety stemmed from his business acumen, but a greater part resulted from his approach to labour relations. He believed the mines he owned were his to do with as he chose. In his mind, he alone had been responsible for raising the capital, building the collieries, opening the markets, and maintaining the plant. He had tended always to pay lower wages than his competitors, and he had preferred to employ Orientals who were willing to work for half the pay other miners would accept. His coal operations were generally safer than those of his main competitor, the VCMLC, though like all colliery owners of the time the Dunsmuirs resisted many of the demands for safety improvements made by provincial inspectors of mines, thereby perpetuating the hazardous conditions that led to accidents, including the 1876 disaster at Wellington. In 1877 when all the island colliers were threatening to strike over wages [see Samuel H. Myers], Dunsmuir was to be struck first, but before the threatened work-stoppage could spread to Nanaimo, Robert locked out his employees, claiming he alone would break the resistance. Four months were lost before the miners, harassed by both police and militia sent north from Victoria at Robert’s demand, and plainly destitute, agreed to return to work. Yet Dunsmuir, clearly victorious, chose also to be vindictive, and offered the men a maximum daily wage of $2.50 – a rate one-third lower than his best-paid employees were earning before the strike. He effectively had broken the most significant attempt up to that time to organize mine workers in British Columbia, and he never faced another major rebellion by labour. For this action especially, Robert Dunsmuir gained a reputation as the province’s most ruthless, avaricious employer. Yet, to the middle and upper levels of island society, Dunsmuir symbolized wealth, success, and moral authority, a circumstance which encouraged him when he was extricating himself from direct management of the collieries to pursue new interests. 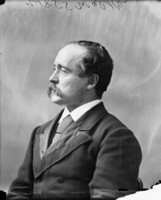 He entered politics in the provincial election of 1882 as a candidate for Nanaimo. 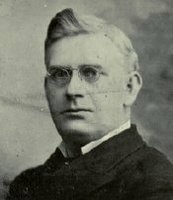 He was elected and returned again in July 1886, but, apart from becoming president of the Executive Council in the administration of Alexander Edmund Batson Davie in 1887, Dunsmuir left no appreciable mark as a politician. For much of his later life, Robert was alienated from his wife, though she inherited his entire estate. The Dunsmuir children were educated and treated in a fashion befitting their father’s wealth. He made the collieries a family business, drawing the menfolk in first as workers and then as managers. They, in turn, retained control until 1910, when the main Dunsmuir interests were sold to William Mackenzie* and Donald Mann*. James Dunsmuir was premier of British Columbia from 1900 to 1902 and lieutenant governor from 1906 to 1909. Robert Dunsmuir was and has remained the most controversial person in the province’s history. He has been recognized by most historians as a great builder, a pioneer industrialist intent upon shaping his province as much as increasing his personal fortune. He has, on the other hand, been more recently presented, by writers probing the province’s early industrial activities, as British Columbia’s chief symbol of unbridled capitalism, and a ruthless exploiter of men and material. The most recent research reveals that neither view is fully accurate, and suggests strongly that a full-scale study of his personal and business career and the social context in which he lived is needed. PABC, Add. mss 436, ser.A; Add. mss 523; GR 86; GR 184; Albion Iron Works, Minutes of meetings of directors, 7 Nov. 1882–29 June 1904; B.C., Dept. of Lands and Works, Coal prospecting licences, Register and index, 1883–1906; Corr. 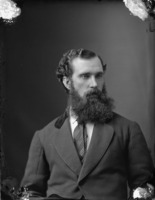 with Robert Dunsmuir and W. N. Diggle re coal claims, 1869–71; Mining licences under mineral ordinance, 1869: coal lands, 1872; John Bryden, Diary and letter book, 1878–80; Colonial corr, C. S. Nicol corr; Robert Dunsmuir, Family tree; Fort Nanaimo corr, August 1852–September 1853 (transcript); Fort Nanaimo journal, August 1855–March 1857 (transcript); G.B., Colonial Office, Despatches to Vancouver Island, 21 July 1849–16 Aug. 1858 (duplicates); Vancouver Coal Mining and Land Company, Director’s diary, 1 July 1880–30 Sept. 1881; Vancouver Island, Governor (Blanshard), Despatches to London, 26 Dec. 1849–30 Aug. 1851 (copies); Governors Blanshard and Douglas, Corr. outward, 22 June 1850–5 March 1859 (copies); Vert. file, James Dunsmuir; Robert Dunsmuir; Fort Rupert; Nanaimo. PAM, HBCA, A.11/72–78. . ... Articles of association of the Albion Iron Works Company (Limited) . . . (Victoria, 1883). B.C., Dept. of Mines, Annual report (Victoria), 1874–89. Can., Census of Canada, 1880–81 (4v., Ottawa, 1882–83). HBRS, XIX (Rich and A. M. Johnson). [John McLoughlin], The letters of John McLoughlin from Fort Vancouver to the governor and committee, [1825–46], ed. E. E. Rich and intro. W. K. Lamb (3v., London, 1941–44). Daily Colonist (Victoria), 1858–89. Nanaimo Free Press (Nanaimo, B.C. ), 1874–89. Nanaimo Gazette, 10 July 1865–July 1866. Nanaimo Tribune, August 1866–31 Aug. 1867. Vancouver Daily World, 18 April 1889. Victoria Daily Times, 5 Oct. 1908, 8 June 1920.. ... J. B. Kerr, Biographical dictionary of well-known British Columbians, with a historical sketch (Vancouver, 1890), 152–54. Standard dict. of Canadian biog. (Roberts and Tunnell), II. The year book of British Columbia . . . , comp. R. E. Gosnell (Victoria), 1897: 322. J. [G. P.] Audain, From coalmine to castle: the story of the Dunsmuirs of Vancouver Island (New York, 1955). H. H. Bancroft, History of British Columbia, 1792–1887 (San Francisco, 1887). J. N. G. Bartlett, “The 1877 Wellington miners’ strike” (ba essay, Univ. of British Columbia, Vancouver, 1975). 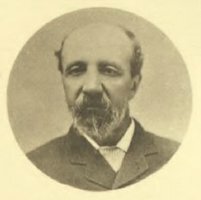 William Bennett, Builders of British Columbia . . . (Vancouver, 1937). R. E. Cail, Land, man, and the law: the disposal of crown lands in British Columbia, 1871–1913 (Vancouver, 1974), 138–41. C. H. Clapp, “Coal-fields of Vancouver Island,” The coal resources of the world: an inquiry made upon the initiative of the executive committee of the XII International Geological Congress, Canada, 1913 . . . , ed. William McInnes et al. (3v. and atlas, Toronto, 1913), II: 509–13. Cumberland, British Columbia, 1871–1971 (Cumberland?, B.C., 1971?). D. T. Gallacher, “Men, money, machines: studies comparing colliery operations and factors of production in British Columbia’s coal industry to 1891” (phd thesis, Univ. of British Columbia, 1979). F. W. Howay and E. O. S. Scholefield, British Columbia from the earliest times to the present (4v., Vancouver, 1914), III: 666–70. P. M. Johnson, A short history of Nanaimo (Nanaimo, 1958), 33–48. Gustavus Myers, History of Canadian wealth (Chicago, 1914; repr. New York, 1968; Toronto, 1972), 301–8. P. A. Phillips, No power greater: a century of labour in British Columbia (Vancouver, 1967), 2–12. Martin Robin, The rush for spoils: the company province, 1871–1933 (Toronto, 1972). R. D. Turner, Vancouver Island railroads (San Marino, Calif., 1973). A. F. Buckham, “The Nanaimo coal field,” Canadian Institute of Mining and Metallurgy, Trans. (Montreal), 50 (1947): 460–72. B. A. McKelvie, “The founding of Nanaimo,” BCHQ, 8 (1944): 169–88. J. D. MacKenzie, “The coal measures of Cumberland and vicinity, Vancouver Island,” Canadian Institute of Mining and Metallurgy, Trans., 25 (1922): 382–411. T. A. Rickard, “A history of coal mining in British Columbia,” Miner (Vancouver), 15 (1942), no.6: 30–34; no.7: 28–30. R. H. Roy,“‘. . . in aid of a civil power,’ 1877,” Canadian Army Journal (Ottawa), 7 (1953), no.3: 61–69. J. T. Saywell, “Labour and socialism in British Columbia: a survey of historical development before 1903,” BCHQ, 15 (1951): 129–50. Daniel T. Gallacher, “DUNSMUIR, ROBERT,” in Dictionary of Canadian Biography, vol. 11, University of Toronto/Université Laval, 2003–, accessed April 24, 2019, http://www.biographi.ca/en/bio/dunsmuir_robert_11E.html.